In early spring of 2002 I sat down to write a review about the Smashing Pumpkins' second album Siamese Dream. I managed to write about four sentences and then I couldn't write anything more. It just took a stop. No words nor ideas came to me and I had to give up on the idea of trying to write and tell you why Siamese Dream is the greatest record ever made. Today, I am going to try again. When Smashing Pumpkins came onto the music scene with their debut album Gish, most people had a problem to place them in a genre, to get a hold on what type of music they were playing. Coming out in early 90's with electric guitars and bass and drums they were firstly placed as grunge alongside Nirvana, Soundgarden and the rest. But Smashing Pumpkins were too polished to be grunge and what made it harder was that they were too complex and 'weird' to be called pop. They did manage to get a good word on their live shows and the album got good reviews and they were classed as the clichée filled 'Next Big Thing'. But Gish didn't get the sales it rightly deserved and it was a minor let down. It actually sold a lot, but slightly after came Nirvana with their Nevermind and then Gish's sale figures wasn't that much anymore. Cos we all know how massive that album struck people. So when it didn't get as big as Billy Corgan had hoped for, he set out to make the second album a make or break album. Telling people that if this album didn't do it for them, then he would split the Smashing Pumpkins. This was said after the album was released mostly due to that the recording process of the album was so troublesome. Billy's relationship was breaking apart and he went into a depression, he had a massive song writing block as well. Jimmy was using drugs and Iha and D'Arcy was breaking up as well. And in all this, they were meant to make an album that would break through massively. The recording process of Siamese Dream is most likely the most trouble filled in history. It even ended up so that Billy played all instruments by himself apart from percussions from time to time. At the start of the recording they brought in Butch Vig, who earlier had produced Nirvana's Nevermind and their own Gish in 91, to over- see the production alongside Billy. Due to the massive depression Billy suffered, he worked endless hours in the studio. Writing songs finally again and almost manically looking into every single detail. Wether it was one single note in one song or one word in a lyric. But slowly and steadily the album that was coming together as Siamese Dream was starting to get a shape. And in July of 1993 it was released. It got rave reviews and Smashing Pumpkins finally broke through as they had always set out to do. And with the four singles, Cherub Rock, Today, Disarm and Rocket, all becoming hits, it was a future bright for Smashing Pumpkins. But, as the story goes, it didn't quite become that bright afterall. But that is another story. So after all the troubles and mess, what is Siamese Dream? Well, I am going to try and give you my point and thoughts about the album, now after you have gotten some ground facts about it. To say this album means alot to me is the greatest understatement one could do, I think. In all music lovers cd packs, there are at least one or two cds that they would say changed them. Or at least helped them. Siamese Dream is one of those few that has had that impact and that will always have a place in my mind for me. I won't go into why that much and will try to let it speak for itself instead. But whenever I feel down or have some troubles I can always go to Siamese Dream and Billy and he will have the sounds and words to make it all make sense again. To rage against the troubles or to sooth them to nowhere land. Siamese Dream is a good title for the album. Not only is it a mysterious title, it also tells you how the album is. It is a multi personality album. An album full of contrast. From the guitar filled rockers to the stripped down acoustic ballads, as an example. Billy Corgan is one of the modern american rock scenes most original talents. His songs combines, in their peculiar Smashing Pumpkins way, worry and harmony, beauty and darkness, strenght and weakness, belief and failure. And the music in itself always goes hand in hand with the feelings that Billy paints with his words and voice. Even if they would have beeen instrumental songs you would still get the feeling that you would get by listening to the words instead. The guitars speaks, the bass speaks and so does the drums and the occasional additional instruments like violins and cellos. Butch Vig deserve some of the prasie too, to be able to steer the ship that Billy wanted to build and go to somewhere they had not ever been. But Billy is a great songwriter. He knows the history of rock'n'roll. Because for a rock band to be respected, you have to respect music in itself. And to use its history to write your own songs is the best way, as a clever person once said. Siamese Dream is a very difficult album at first. You have to live with the album for some listens. One major point is that even now, years after I got the album, I still can't sing along to the songs that much if I don't play the album alongside. So, it is not a catchy album in that case. But it has a magnetic feel to it. It keeps drawing you back to it. It's filled with detail and texture but very compact and isolated in some ways, so as said, it takes some listens to make it breath and make sense. You need patience, but once you get there it has you in its hands. Years after my first listen I can still find new things in the album. It's so mysterious in its ways. Lyrically wise Billy deals with all the darkness in life on this record. He was abused as a child, his breaking of a relationship, his autistical brother and a feel that you are not living in your right life. When Smashing Pumpkins came into my life I was dealing with some of those issues as well. I was bullied by my schoolmates and life was just not feeling good at all. I was a mystery to myself to be honest. But so came Siamese Dream and partly my mystery was solved. I found a haven. A haven within me where I, and only I, felt most comfortable with myself. Siamese Dream became a drug. And so special that it was my own safety net. I am sure this could be said by thousands of the young people who found Siamese Dream when it came out. Or even now, ten years afterwards. I read somewhere about someone who said that for a tourist visiting another place there are two types. One who thinks the place he sees for the first time is unspoiled and untouched in ways and goes on to a casual holiday. Being settled with what he sees where he stands. The other type knows it is already touched, and he sets out to find the untouched parts of the new place he has started to visit. To go on and find the beyond, and the beauty of it. In a music world it is exactly the same. 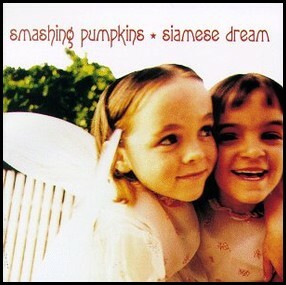 For a casual listener Siamese Dream can be very beautiful and a nice listen. Something you can enjoy. Something you would hear. But for that tourist who knows he wants to find something more, the music becomes an adventure. He takes the time to listen to it instead. Discover what is beyond. And then, want to share what he has found to everyone else. That is what I would love to do. To show you all the beauty of Billy's songs. From the opening drum rolls of Cherub Rock to the outburst of the guitars a few seconds later. A song so powerful and proud. 'Beware of those angels with their wings glued on'. The blistering intro of Today. A song written as an ironic and comical view on a life that is on the verge of suicide. 'Pink ribbon scars that never forget. I tried so hard to cleanse these regrets. My angel wings were bruised and restrained. My belly stings.' With its uplifting chorus it makes such a creepy contrast to what the song is actually about. 'Today is the greatest day I have ever known'. Take Rocket instead, a song that speaks about what will come, when all the aching will be gone. In which way is not known. But believe in yourself and not in other people is the main point. 'Bleed in your own light. Dream of your own life'. Geek U.S.A is a pure rock song filled with the thoughts of american, and world, daylife of young people. Mayonaise slow things down again. But it is a song that builds and builds until a total crush. Such a triumphant song of anger and happiness that it always keeps you wondering if you should put up your arms in the air or if you should just break down and cry alongside the song. The lyrics are written so greatly that they build alongside the music. More and more. And it burst finally. A song about isolation and sadness. Most likely the greatest song on the record even though I can never say which one is the best when I listen to the album. I go from one to another all the time. It is utterly magnificence shaped into a rock song. The heartbreaking Spaceboy comes next and is said to be a song about Billy's brother. How he always imagined how his brother was thinking behind his outer self. How he always wanted to be a space boy. To break free. 'And spaceboy I've missed you. Spinning round my head. And any way you choose me. You'll break instead. Siamese Dream should be experienced as a piece of its own. The songs are strong enough to stand on their own indeed, but it is the whole that makes Siamese Dream to what it is. The album is indeed a rollercoaster of emotions. But also of sounds and images as well. It is for sure the most breathtaking hour you can spend with a record. A fantastic multi layered piece of work that is the highest point in Smashing Pumpkins and Billy's career. But it is a landmarking album in rock history as well. Inspired thousands of new bands. And it is the greatest album ever made. It is the album in my life. It is the album of my life.